The House and Senate are set to return to legislative work next week and both chambers face a large slate of pressing issues to address before the November election. Facing a looming recess earlier this summer, Congress punted on legislation dealing with everything from fighting the Zika virus, to addressing opioid abuse, to funding medical research. Now, back from the annual August break, lawmakers face an additional October 1st deadline to appropriate government funding as well as any promises they may have made to voters back in their hometowns. Many are in the dark about how leadership plans to tackle these issues when Members of Congress return to Washington after the Labor Day holiday next week. A recent calendar memo published by House Majority Leader Rep. Kevin McCarthy, R-Calif., opted to focus on bills the House has already acted on, failing to outline a path to address the important October deadline or growing concerns surrounding the spread of Zika. Both chambers are only in session for four weeks before again leaving Washington to hit the campaign trail for the month of October. 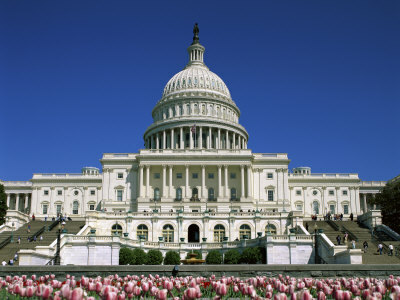 September will be the last month lawmakers have before the election to wrap up old business. The current MDS 3.0 RAI Manual v1.14 and MDS forms, effective October 1, 2016 is now available. This version of the MDS 3.0 RAI Manual incorporates the new Section GG: Functional Abilities and Goals, the new Part A PPS Discharge assessment, and clarifications to existing coding and transmission policy. It also addresses clarifications and scenarios concerning complex areas. Read more on the CMS website for MDS 3.0 RAI Manual - Centers for Medicare & Medicaid Services. New this year - pictures and stories of staff! Honor the individuals residing and working in assisted living communities by sharing those everyday moments or special occasions. 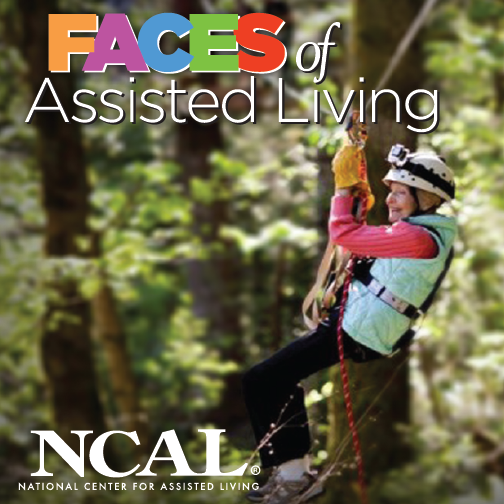 Now and through October 31, send NCAL your photos for our Faces of Assisted Living project. This online effort was created to recognize the unique individuals residing in assisted living. New this year – NCAL will now also accept photos and stories of staff members. When you submit a photo, tell us a little more about the staff pictured: How did they get into assisted living? Why do they like their job? What resident do they remember most? Submitted photos with completed image release forms may be featured on AHCA/NCAL’s Facebook and Twitter accounts and in future publications. Follow the submissions with the hashtag #FacesofAL. Learn how to submit your photo(s) and check out photos from previous years at www.ahcancal.org/faces. On Tuesday, September 27, 2016, from 2 – 3 PM Eastern Time, representatives of the Department of Housing and Urban Development (HUD's) Office of Residential Care Facilities (ORCF) will discuss the Section 232 program, which provides mortgage insurance for residential care facilities, including nursing homes, assisted living facilities, and board and care homes. In this program, get an overview about programs offered through ORCF, and get detailed information related to a number specific ongoing requirements for borrowers and operators. More details, including learning objectives and registration for the webinar, can be found here. Directions to Register: It is important to note that this particular American Health Care Association/National Center for Assisted Living (AHCA/NCAL) webinar is open to non-members as well, as it is being done in conjunction with HUD. If you are not an AHCA/NCAL member, and are registering for this event, you will need to create an account. Creating an account does not cost you anything, and the webinar event is free to attend. The process is simple. Click on the webinar link above. Click on the “register” green icon button to the right. Then click the button noted “complete registration and “create account.” Please fill in your name and password, but you do not have to fill in what company or facility you are associated with. Then, the “create new account and sign in” button will appear. You will be directed to the AHCA/NCAL main home webpage, which you can EXIT. You will be returned to the webinar page. CHECK OUT of the webinar on the cart page. Your registration is COMPLETE. New Research Shows That Nursing Facilities with ANCC Board Certified Nurses Are Twice as Likely to Receive a 5-Star Rating from CMS! Recent research conducted by AHCA/NCAL shows that nursing facilities with RNs certified in gerontological nursing by the American Nurses Credentialing Center (ANCC) are twice as likely to receive an overall 5-Star rating from CMS. Nationwide, CMS data shows that 24 percent of nursing facilities receive a 5-Star rating but AHCA/NCAL researchers found that number jumps to 48 percent for nursing facilities with at least one ANCC certified RN. Facilities with an ANCC board certified nurse were also significantly less likely to have a 1-Star rating from CMS with only two percent of facilities receiving the lowest rating compared to 15 percent nationally. To help increase the number of board certified RNs, AHCA/NCAL’s Gero Nurse Prep program is to help RNs prepare for and pass the ANCC gerontological certification exam. RNs who complete the AHCA/NCAL Gero Nurse Prep program have a passing rate of 96 percent on the ANCC exam and receive 30 CEUs. The Centers for Disease Control and Prevention (CDC) released a report earlier this week on sepsis, a complication caused by the body’s overwhelming and life-threatening response to infection. The report focuses on preventing infections that lead to sepsis and the importance of sepsis early recognition. The report was released as part of the CDC’s Vital Signs series, which focuses on critical public health issues. 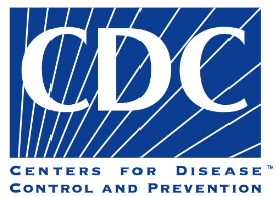 The CDC will also host a Town Hall Teleconference, How Three States Tackled Sepsis, for state health departments, state hospital associations, and other partners. Additionally, two free webinars on sepsis will be available in September for Sepsis Awareness Month, one for all healthcare professionals and a second specific to nurses. If you haven’t registered, do it now! If you haven’t submitted any staffing or census data, begin the process or have an agreement in place through a vendor for submission. We can't wait to see you in Nashville in October! There are so many exciting and unique events planned for you! If you haven't yet registered, do it today. The Advance Registration deadline is September 21. The Gaylord Opryland Resort and additional convention hotels have sold out. However, AHCA/NCAL has just reserved additional rooms at the brand new Westin Nashville. But you must act fast! The Westin is located in the heart of downtown Music City near fantastic dining, shopping, and entertainment, so you can make the most of Convention & Expo while experiencing the best of Nashville. This downtown area is also near the Country Music Hall of Fame and Museum, the Ryman Auditorium, the Frist Center for the Visual Arts, Ascend Amphitheater, and Lower Broadway. Or visit the Grand Ole Opry! In addition to the Westin Nashville, an additional downtown hotel, the Homewood Suites Nashville, has been added to the AHCA/NCAL housing block. AHCA/NCAL is making it even easier for you to enjoy your Convention experience with a free shuttle service to and from all hotels and the Gaylord Opryland Resort and Convention Center. Rooms are going quickly, so register and book your hotel now. “Movie Night” is a time honored tradition at an assisted living community or skilled nursing center – an expected social activity for many residents. This week, AHCA/NCAL announces a formal agreement with the Motion Picture Licensing Corporation (MPLC) to help long term and post-acute care providers continue to offer this cherished event while adhering to federal copyright laws. Motion picture showings within senior living and health care communities have always required a public performance license in accordance with the U.S. Copyright Act. As a result, AHCA/NCAL (and all other leading industry associations including, LeadingAge, National Association of Activity Professional [NAAP], American Senior Housing Association [ASHA], and Argentum) has entered into a new agreement with MPLC. The 2016 Agreement better educates members on the need for copyright compliance when motion pictures and other audiovisual programs are shown in senior living and health care communities. All communities, regardless of their type or license status, must obtain licensure for exhibitions of Videos transmitted over a closed circuit television system or in-house channel. All communities, regardless of their type or license status, must obtain licensure for exhibitions of Videos in common areas such as a theater, lounge, or community room. Assisted living, nursing and rehabilitation units receive a reduced rate on the license. Minimum fees are waived for campuses that are strictly nursing, assisted living, or rehabilitation. Best of all, AHCA/NCAL is pleased to announce that all associations have collectively negotiated a special introductory discount of almost 40% for qualifying member facilities that secure an Umbrella License® before December 31, 2016. The Umbrella License provides the most comprehensive programming available from over 1,000 motion picture studios and producers ranging from major Hollywood studios to educational, independent, specialty, foreign language, documentary, and television producers. The license covers thousands of titles currently available in any legal format originally intended for personal, private use only. The special introductory rate of only $2 per unit for all AHCA/NCAL member assisted living, nursing, and rehabilitation units is available starting October 1, 2016, and through the end of the year. If you operate assisted living, nursing or rehabilitation units, AHCA/NCAL strongly encourages you to secure an Umbrella License prior to December 31, 2016 to ensure the lowest possible license fee. Please visit the AHCA/NCAL website for the application brochure. Learn more about AHCA/NCAL’s agreement with MPLC and how to apply for an Umbrella License by visiting AHCA/NCAL’s website. On Wednesday, Sept. 14 from 1:30 – 3 PM ET, join this webcast to learn about the reporting requirements for the new Skilled Nursing Facility (SNF) Quality Reporting Program (QRP), effective October 1, 2016. The Improving Medicare Post-Acute Care Transformation Act of 2014 (IMPACT Act) established the SNF QRP and requires the submission of standardized data. A question and answer session will follow the presentation. The IRS has issued a new tax tip reminding employers of key provisions they need to understand under the Affordable Care Act. In general, under the employer shared responsibility provisions of the Affordable Care Act, an applicable large employer may either offer affordable minimum essential coverage that provides minimum value to its full-time employees and their dependents or potentially owe an employer shared responsibility payment to the IRS. Affordable coverage: If the lowest cost self-only health plan is 9.5 percent or less of a full-time employee’s household income, then the coverage is considered affordable. Because employers likely will not know your employee’s household income, for purposes of the employer shared responsibility provisions, employers can determine whether they offered affordable coverage under various safe harbors based on information available to the employer. Under existing guidance, employers generally must use a minimum value calculator developed by the Department of Health and Human Services and the IRS to determine if a plan with standard features provides minimum value. Plans with nonstandard features are required to obtain an actuarial certification for the nonstandard features. The guidance also describes certain safe harbor plan designs that will satisfy minimum value. For more information, visit the Affordable Care Act Tax Provisions for Employers pages on IRS.gov/aca, including Minimum Value and Affordability page. AHCA/NCAL members are saving money on their employee health benefit programs through AHCA/NCAL Insurance Solutions. One independent owner in Florida recently saved more than $1,000 annually per employee. To explore your health plan options available through AHCA/NCAL Insurance Solutions, contact Dave Kyllo at 202-898-6312 or Nick Cianci at 202-898-2841 or email us at ahcainsurancesolutions@ahca.org. The Notice of Observation Treatment and Implication for Care Eligibility (NOTICE) Act requires hospitals to notify Medicare beneficiaries of their outpatient status within 36 hours. Outpatient status affects a patient’s ability to receive Medicare coverage for post-acute care in a skilled nursing center. AHCA/NCAL supports the NOTICE Act law. On August 2, 2016, the final rule from the Centers for Medicare and Medicaid Services (CMS) on the implementation of the NOTICE Act was released. A brief summary of the NOTICE Act section of the CMS final rule put together by Hancock, Daniel, Johnson & Nagle, P.C., is available here. The NOTICE Act had technically required that Medicare eligible patients receive a notice of their outpatient observation status starting on August 6, 2016. However, the CMS final rule notes that the Medicare Outpatient Observation Notice (MOON) has not yet been approved for use and is thus delaying official implementation of the law until Fall 2016. According to an August 16, 2016, CMS email notice, beginning August 2, 2016, the public has 30 days to comment on the revised MOON under the Paperwork Reduction Act (PRA). The information collection request will be submitted to the Office of Management and Budget (OMB) for review and approval. The information collection requirements are not effective until approved under a valid OMB control number. CMS expects final PRA approval of the MOON around the time the implementing regulations are effective. It also expects hospitals and CAHs to begin using the MOON no later than 90 calendar days from the date of final approval of the MOON by OMB. The draft MOON subject to the 30 day comment period, along with instructions on how to submit comments, can be found here. The comment period ends September 1, 2016. According to the CMS email, the Agency will provide additional information related to MOON implementation on its Beneficiary Notices Initiative webpage when the MOON is approved and in a Health Plan Management System memorandum to Medicare Advantage plans. Earlier this week, the Federal Court that oversees the Jimmo v. Burwell “improvement Standard” case ordered the Centers for Medicare and Medicaid Services (CMS) to comply with the provisions of the 2013 Jimmo v. Sebilius settlement agreement. CMS was directed to remedy its educational campaign and submit a proposed corrective action within 45 days. Pursuant to the earlier Settlement Agreement, the parties agreed to a “maintenance coverage standard,” which provides that skilled nursing and therapy services would be covered where such skilled services are necessary to maintain the patient's current condition or prevent/slow further deterioration. The CMS Independence at Home Demonstration (IAH) looks at providing home-bashed primary care that allows providers to spend more time with patients. In the IAH demonstration, “home” is defined as where the beneficiary lives and can include assisted living. The demonstration also tests if home-based care can reduce the need for hospital admissions, improve patient/caregiver satisfaction, lead to better health outcomes, and lower Medicare costs. In the second year of the demonstration, IAH practices saved over $10 million, all 15 practices improved quality from the first year performance in at least two of the six quality measures and four practices met the goals for all six quality measures. For more information on the IAH Demonstration please visit the CMS Website. The CDC’s National Center for Health Statistics has launched the third wave of the National Study of Long-Term Care Providers (NSLTCP), a biennial national study of the major sectors of paid, regulated providers of long-term care services. This data collection effort includes a representative sample of assisted living and similar residential care communities across the country. Your assisted living or residential care community may be one of them. Data collection started in August 2016 and will continue through February 2017. Residential care operators, administrators or directors are asked to provide information about their residential care community through a mail or web questionnaire that will take on average 30 minutes to complete. NSLTCP collects information about the characteristics of residential care providers, the services they offer, and their staffing; and the demographics, functional status and health of the residents they serve. This information will help policymakers, health care planners, and providers better understand, plan for, and serve the future long-term care needs of the older population and disabled adults. While results from this survey, including state estimates, will be made publicly available, all data will be kept confidential and will be aggregated, so that the names of the residential care communities, staff, residents and respondents will not be identifiable. Participation is voluntary. The power of this survey depends on participation. If your residential care community is contacted, make your voice heard by participating in the study. For more information please visit the NSLTCP website. Rep. Lloyd Doggett (D-TX) (pictured) said the Center for Medicare and Medicaid Services (CMS) “is failing to fulfill its responsibilities” to notify beneficiaries of their eligibility for skilled nursing care following a hospital stay. Rep. Doggett said the comments after the effects of the Notice of Observation Treatment and Implication for Care Eligibility (NOTICE) Act, passed last year, were delayed due to CMS not finalizing a related form. Rep. Doggett was the sponsor of the NOTICE Act before it was passed out of the House unanimously on a voice vote. Beneficiaries “absolutely deserve to understand their status when they are hospitalized, and to know whether they are losing their eligibility for covered stays at skilled nursing facilities,” the Congressman told Bloomberg BNA last week. The NOTICE Act requires hospitals to let patients know their status—inpatient or outpatient—during their stay, a distinction which could affect Medicare’s coverage of skilled nursing care following the hospitalization. Patients who do not receive three days of inpatient care at a hospital are not eligible to have Medicare cover a skilled nursing stay after they leave. The law required that hospitals notify beneficiaries of their status starting August 6th using a CMS-approved form, known as the Medicare Outpatient Observation Notice (MOON). The Office of Management and Budget, however, is still reviewing the form and may not finalize a decision for several months. The American Health Care Association will work with lawmakers and CMS to ensure proper implementation of laws affecting the 3 day stay and will continue to advocate for a permanent solution for beneficiaries denied Medicare coverage because of this provision. exciting milestones that accompany growing older, old age can also bring unexpected challenges for which adults with Down syndrome, their families and caregivers may not feel adequately prepared. In order to enjoy all the wonderful aspects of a longer life, it is important to be proactive and learn about issues that may lie ahead.” The full guidebook, written by the lead author of Dr. Julie Moran along with additional authors/contributors, can be found here. The AHCA/NCAL 2017 Independent Owner Leadership Conference is for independent owners (IOs) and not for profit operators of ten or fewer long term care facilities. As long term care professionals, you understand the trends, issues, and challenges facing our profession. Now is your chance to share that knowledge. From success stories to professional insights, you can use this national forum to share programs and ideas that enhance the long term care provider model. We invite you to submit a conference proposal for consideration by our professional development team. Proposals should be geared toward individuals who own and/or operate ten or fewer for profit or not for profit long term care facilities. If you have any questions or comments please contact Christy Sharp. Hurry and submit your proposal today! The US Department of Health and Human Services, Office of Inspector General (OIG) has released its updated List of Excluded Individuals and Entities (LEIE) database file, which reflects all OIG exclusions and reinstatement actions up to, and including, those taken in July 2016. This new file is meant to replace the updated LEIE database file available for download last month. Individuals and entities that have been reinstated to the federal health care programs are not included in this file. 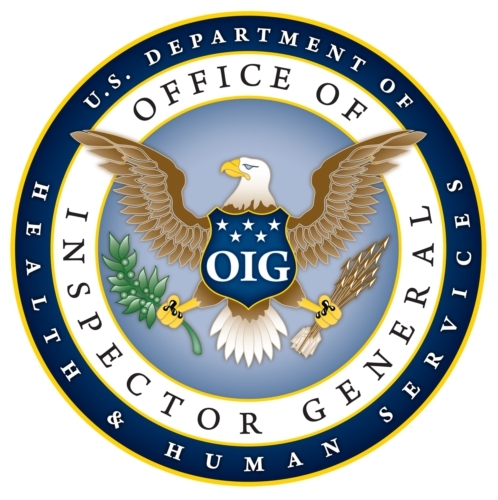 The updated files are posted on OIG’s website at http://www.oig.hhs.gov/exclusions/exclusions_list.asp, and healthcare providers have an “affirmative duty” to check to ensure that excluded individuals are not working in their facilities or face significant fines. Instructional videos explaining how to use the online database and the downloadable files are available at http://oig.hhs.gov/exclusions/download.asp. Given the penalties and recent government warnings, long term care providers should check the LEIE on a regular basis. 2017 Quality Award Application Packets Now Available! The National Quality Award application packets for the 2017 year are now available on the Bronze, Silver and Gold Quality Award website pages. In addition to the applications, AHCA/NCAL members can also download the 2017 program calendar and submission checklist. Members are encouraged to use this time to review the application materials completely as there have been significant changes to the program’s survey eligibility requirements. The new policy can be found in Chapter 3: Application Policies and Eligibility of each application packet. Additionally, for Silver and Gold applicants there is a new requirement for results in Category 7. Silver and Gold applicants will be required to report on 10 measures within their application. Assisted living only applicants may report alternatives to these required results. It is necessary for AL providers to report at least two results. And be sure to access the 2017 Bronze Criteria Series on the ahcancalED website. The Silver criteria series will be available in September. Gold Quality Award Recipients Announced! Since the inception of the program in 1996, only 31 long term and post-acute care providers have achieved this level of quality recognition. The Gold Award is the most prestigious of the program. At this level, recipients have invested multiple years in mastering and applying the rigorous quality improvement standards of the Baldrige Criteria to achieve superior results in the areas of leadership, strategic planning, customer and workforce focus, and operations and knowledge management. AHCA/NCAL announced the recipients of the Bronze – Commitment to Quality on June 1 and Silver – Achievement in Quality on June 30. A full list of honorees is available on the AHCA/NCAL Quality Award website here. The awards will be presented to recipients on October 18 during AHCA/NCAL’s 67th Annual Convention & Expo in Nashville, Tennessee. To start preparing for the 2017 application process, be sure to visit the Bronze, Silver or Gold application pages to download materials. The AHCA/NCAL Long Term Care Career Center, can help members fill their health care job vacancies. Now is the perfect time to give the Long Term Care Career Center a try because new users receive 25% off their first posting. Simply enter promo code New25off to receive this special discounted price. Rates for posting job vacancies are affordable and give prospective employers far greater exposure than local ads and job boards by connecting to a network of more than 330 health care organizations and societies. Employers are also able to post vacancies as they occur and search resumes on the network. Of course, the LTC Career Center is always free for job seekers. And, job seekers are using the site! Job postings on the AHCA/NCAL Long Term Care Career Center, average more than 1,400 views a month. The National Pressure Ulcer Advisory Panel (NPUAP) will host a webinar with Dr. Laura Edsberg, Director of the Center for Wound Healing Research on Thursday, August 25 from 1:00-2:00 PM ET. Dr. Edsberg’s webinar, titled Results of the Staging Consensus Conference will enable attendees to more effectively identify and stage pressure injuries and will help attendees to describe changes to the staging system. This webinar is only open to the first 1,000 registrants so register today! 1 hour of multidisciplinary CE is also available! If you are unable to attend the live webinar or are interested in viewing previous webinars that were presented earlier this year and in 2015 please visit the following website to access the recordings and handouts: http://www.npuap.org/resources/educational-and-clinical-resources/complimentary-educational-webinars/. The Department of Labor (DOL) has issued updated posters to reflect the requirement from the Federal Civil Penalties Inflation Adjustment Act Improvements Act of 2015 that DOL and other federal agencies periodically adjust penalties to reflect inflation. Specifically, the posters have been updated for the Fair Labor Standards Act (FLSA) and the Employee Polygraph Protection Act (EPPA). The revised posters took effect on August 1, 2016. To eliminate the need to reprint posters each time the amount of civil monetary penalties changes due to inflation, the primary change in the posters is the removal of the specific amount of civil monetary penalties per violation. Both revised posters contain only a general statement that civil monetary penalties may be assessed for violations. All DOL posters can be found here. National Immunization Awareness Month is a great time to review vaccines that the Centers for Disease Control and Prevention (CDC) recommends for older adults. The CDC provides helpful information on vaccines including who should who should get specific vaccinations, complications from diseases, and the schedule of vaccines. Adults 60 years and older should have the shingles vaccine to prevent the painful rash also known as Herpes Zoster. Adults 65 and older should have the pneumococcal vaccine to prevent against pneumococcal disease which can include pneumonia, meningitis, and blood infections. All adults should have an annual influenza vaccine and Td vaccine every 10 years to protect against tetanus and diphtheria. Researchers from the University of North Carolina’s Cecil G. Sheps Center for Health Services Research and School of Social Work, with funding from The Center for Excellence in Assisted Living (CEAL), completed a review of measures and instruments useful to maintain and improve quality in assisted living, and which may help assisted living providers become an even more valuable service choice for aging Americans as healthcare options change. The researchers reviewed measures and instruments suitable for quality improvement in five domains important in assisted living: person-centered care; medication management; care coordination/ transitions, resident/patient outcomes, and workforce. Not many tools have been developed specifically for assisted living, so the review also included those used in other health and long-term care settings. After conducting a comprehensive review, they recommended 96 measures and instruments. “The tools we identified can be used across the range of assisted living communities, and the sheer number of them allows providers to choose the ones most appropriate to their setting and priorities” said Sheryl Zimmerman, Ph.D., who led the effort. After consulting other experts and conducting extensive literature reviews, the team rated the quality and applicability of more than 250 tools. The final report summarizes the highest scoring ones and provides a description and resources for each one, by domain. This way, an organization looking to assess their practices in any of the five domains can select tools to evaluate and improve their efforts. “Assisted living communities can use the report as a resource to identify measures and instruments that will assist them in quality improvement efforts” said Randy Slikkers, CEAL Executive Director. Lindsay Schwartz, Ph.D., CEAL Board Chair added “Data collection and outcome measures are a vital part of quality improvement, and essential for participating in coordinated care efforts across the healthcare industry. A lack of measures and instruments could become a barrier to assisted living’s full participation in health care reform efforts. This report will help providers overcome that barrier.” As a follow-up effort, CEAL and UNC plan to use this report to develop a resource for AL providers to easily choose and use the best tool for their organization and purpose. 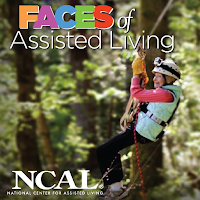 NCAL Day – the assisted living kickoff event at the AHCA/NCAL Convention & Expo – is turning 10 this year. And to celebrate, NCAL is offering a new format where all attendees will remain in one room to hear about the most important topics in the assisted living space today. Beyond two inspiring keynote speakers, updates from NCAL leadership and a moving awards ceremony at lunch, NCAL Day promises in depth discussions from thought leaders about the issues on the minds of assisted living providers: regulations, data, technology and affordability. Learn more about each NCAL Day education session below, and then register for Convention, making sure you add your ticket to NCAL Day as part of your package*. *NCAL Day is a separate ticketed event and must be purchased in addition to any convention registration package. As National Assisted Living Week® approaches, now is the time to begin planning outreach to your local press and sharing the great events you have planned for your community! Take advantage of NCAL’s NALW Media Toolkit at www.nalw.org. You will find all you need to engage your local press with sample templates, which you can customize to fit your community and your events. This September 11-17, invite a local reporter to your big event, send out a press release highlighting your community’s innovative technology practice, or send a letter to the editor sharing your AL community’s excitement about NALW. Take your NALW celebrations once step further and encourage local government officials to officially declare NALW in your city, county or state. Offer them the sample proclamation and invite them to hold an official signing event at your assisted living community. And fitting for “Keep Connected,” the media toolkit includes sample social media posts. As you engage with your residents and staff during NALW, be sure to also engage with your online audience by using the hashtag #NALW. And don't forget to share activity ideas and connect with your fellow assisted living caregivers on the NALW Facebook page. The NALW Planning Guide and Product Catalog contains a number of tips on how to use the media toolkit to its fullest. And be sure to also read up on the guide’s best practices for promoting NALW online while protecting the privacy and dignity of your residents and staff. NALW is a time of celebration and excitement – a week to highlight the best your community can be. There is no better time to invite media into your community to share with them the special people and events that make it home for residents. 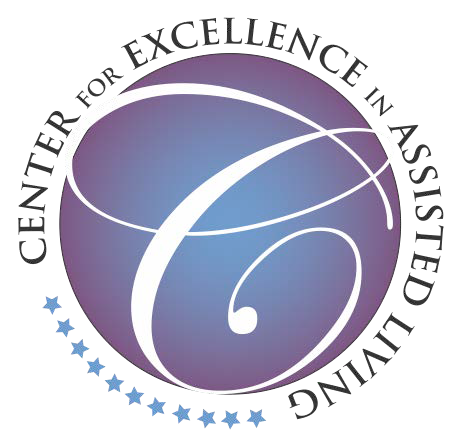 CMS is currently soliciting nominations for technical expert panel members for quality measures developed under the Improving Medicare Post-Acute Care Transformation Act of 2014 (IMPACT Act) to meet the domain of the transfer of health information and care preferences. The quality measures, Transfer of Information at Post-Acute Care Admission, Start, or Resumption of Care from Other Providers/Settings, and the Transfer of Information at Post-Acute Care Discharge or End of Care to Other Providers/Settings were developed for the Long-Term Care Hospital, the Inpatient Rehabilitation Facility, the Skilled Nursing Facility, and the Home Health Agency settings. CMS specifically seeks technical experts with expertise in care transitions and information transfer during transitions, quality improvement, and performance measurement, among other areas of knowledge. The call for technical expert panel members is open from August 8th through August 21, 2016. For more information, visit the Technical Expert Panel webpage. Another great resource is Health care tax tips which is published weekly Past issues of the IRS tax tips can be found at health care tax tip archive. On August 6, 2016, AHCA/NCAL’s President and CEO, Mark Parkinson, was quoted in a New York Times article on the Notice of Observation Treatment and Implication for Care Eligibility (NOTICE) Act. Parkinson was quoted in the article saying, “Patients often have no idea what their status is in a hospital. Observation stays impose a financial burden on seniors, and increase the likelihood that they will have to turn to programs like Medicaid, the federal-state program for low-income people. The NOTICE Act law will require hospitals to notify Medicare beneficiaries of their outpatient status within 36 hours. It was sponsored by Rep. Lloyd Doggett (D-TX). 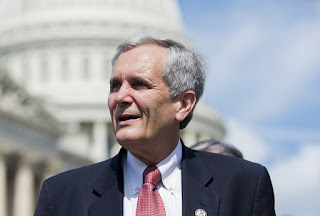 Rep Doggett is also is an original cosponsor of the Improving Access to Medicare Coverage Act, which counts outpatient hospital days toward the 3-day requirement for Medicare coverage of a skilled nursing stay. The Notice Act was passed unanimously out of Congress in summer of 2015 and requires that Medicare eligible patients receive a notice of their outpatient observation status starting on August 6, 2016. However, the Medicare Outpatient Observation Notice (MOON) has not yet been approved for use and thus delaying official implementation of the law until Fall 2016. The August 2, 2016, final rule from the Centers for Medicare and Medicaid Services (CMS) on the implementation of the NOTICE Act can be found here. A brief summary of the NOTICE Act section of the CMS final rule put together by Hancock, Daniel, Johnson & Nagle, P.C., is here. If you have any questions relating to these reports, which include important ICF/IID state and national data, please contact AHCA’s Senior Research Analyst, Kiran Sreenivas. The Centers for Medicare and Medicaid Services (CMS) holding a call on August 31 targeted at post-acute care (PAC) providers (including SNF), healthcare industry professionals, clinicians, researchers, health IT vendors, and other interested stakeholders - titled CMS IMPACT Act: Data Elements and Measure Development Call. During this call, CMS experts will discuss how data elements are used in measure development and how information from assessment instruments is used to calculate quality measures. The Improving Medicare Post-Acute Care Transformation Act of 2014 (IMPACT Act) requires the reporting of standardized patient assessment data on quality measures, resource use, and other measures by Post-Acute Care (PAC) providers, including skilled nursing facilities, home health agencies, inpatient rehabilitation facilities, and long-term care hospitals. The National Quality Award Program is pleased to announce that the 2017 application packets are now available online. In addition, the 2017 program calendar and submission checklist have been posted to each award level page. Please visit the Bronze, Silver or Gold application pages to download application materials specific to your respective award level to see how your center should begin preparing. The 2017 Bronze Criteria Series is already available on ahcancalED. The Silver criteria series will be available by early September on ahcancalED. As a reminder, all applicants should read the application packet in full before submitting an intent to apply payment in the Fall. There have been significant changes to program's the survey eligibility requirements. The new policy can be found in Chapter 3: Application Policies and Eligibility of each application packet. AHCA/NCAL Quality Award staff is aware that Five Star results (Overall, Staffing, Quality Measure, and Survey) do not apply to AL communities. For the Five Star results, simply write “Five Star is not available for AL” and provide other applicable results in that category to replace this measure that your AL community has. For the other required results, if you are not able to provide the result, you will need to provide a more extensive explanation. Not reporting Five Star as an AL community will not affect the evaluation of your application in any way as long as you include "Five Star is not available for AL". If any required results are not available, applicants must provide a clear and legitimate reason why a measure could not be obtained. More detailed information on including these measures can be found within both the Silver and Gold application packets. If you have any questions, please email qualityaward@ahca.org. We look forward to seeing your application in 2017! 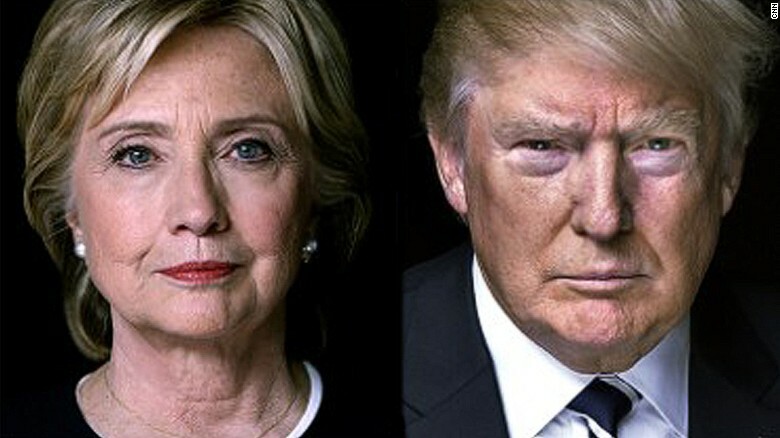 Both the Republican and Democratic Parties have officially concluded their conventions and chosen their candidates, marking the beginning of general election campaigning for Hillary Clinton and Donald Trump. The next major venue for the candidates will come in two months, when both Clinton and Trump will take the stage together for the first Presidential Debate on September 26th at Hofstra University in New York. The candidates are scheduled to debate a total of three times, with two more dates scheduled on Oct. 9 and 19. Drama has already erupted surrounding the scheduled debates, as Trump’s campaign has claimed the dates were intentionally set opposite National Football League games and plan to meet with the Commission on Presidential Debates. In the wake of these claims, the nonpartisan, independent commission iterated that a debate "has never been rescheduled as a result" of a conflict with NFL games. The Vice presidential candidates, Democratic Sen. Tim Kaine and Republican Gov. Mike Pence, will debate on Oct. 4th. Local and state primary elections are being held across the nation in the wake of the party conventions, finalizing the rest of a ballot for voters in November. Earlier this week, Rep. Tim Huelskamp (R-KS) became the fourth incumbent in federal office to lose a primary this cycle. He joins Fmr. Rep. Chaka Fattah (D-PA), Rep. Randy Forbes (R-VA), and Rep. Renee Ellmers (R-NC) as members of Congress who did not secure their parties’ nomination for their respective Congressional seats. The CARES® Dementia Basics Training will be held on Sunday, October 16 from 9 a.m. to 4 p.m. and is a separate ticketed event. The registration fee for this special intensive training is only $149.95. Click here to register for the 67th annual AHCA/NCAL Convention and expo in Nashville. On Tuesday, August 23, 2016, from 3-4pm EDT, the National Alzheimer’s and Dementia Resource Center will present the webinar entitled, Examples of Developing and Implementing Faith-Related Dementia Programs. Participants who attend this webinar will learn about two faith-related programs for people with dementia and their caregivers— Alzheimer’s Orange County Interfaith Outreach Program in Orange County, California and the Respite Ministry in Montgomery, Alabama. More details about this webinar and how to register for it can be found here. According to a July 20, 2016, article by Alana Stramowski of Senior Housing News, Oklahoma City came in the top spot on a recent list of the best large cities in the nation for seniors. Their ranking is due to the large number of hospitals, low property taxes and high quality of life. Other top spots were given to: Austin, TX, and Pittsburgh, PA. Austin, which came in second, was found to have high quality of life as well because of their mild seasons. Both Pittsburgh and Austin have over 100 senior living facilities in and around the city. You can read the full article here, which includes the complete list of the top 10 best cities for seniors. This next year marks the beginning of the third decade of the Quality Award program. Twenty years ago, those directly involved in the program numbered less than 20; 6 examiners, 12 applicants and 1 staff member. The old proverb says, “Change is the only thing that never changes.” Anyone who’s been involved with the program for more than two years has been witness to this proverb in action; every year brings many significant changes to the program. Once there were over 125 Bronze Examiners, today there are just 4. Once there were only 4 Senior Examiners, today there are almost 200. Once all Examiner training was conducted via webinars. Today all Examiners are trained on-site. Once there was virtually no engagement of the broader Baldrige community. Today some of the best-respected Baldrige experts serve as Judges, Examiners, and Trainers in our program. Once there were no available resources, now a variety of online training, data, and networking resources exist – most free of charge. Once most AHCANCAL State Affiliates were only marginally engaged in the program. Now many affiliates serve as key promoters, education partners, and staff members serve as examiners. Once Gold site visit were mainly courtesy calls with little formal evaluation. The site visit team made the award determination during the site visit. Today we have a formal process, solid accountability and reporting, and our Panel of Judges makes the award determination. Additionally, there are literally hundreds of other important changes that have occurred over the last few years. While some of those changes were admittedly reactionary, they are now the result of regular ongoing cycles of evaluation, driven by stakeholder feedback, data review, and oriented to strategy objectives. We are working hard to apply the Baldrige Core Values to the program. If it has been awhile since you submitted an award application, we hope that you will consider 2017 as a “restart” year. If you have been progressing along with your journey, we hope that you will continue it in 2017. Either way, remember that your first step should be to review the 2017 application packets in full. Applications are now available so click here to get started today! This year there have been changes to the Silver criteria, the addition of required results at the Silver and Gold level, and changes to the survey eligibility criteria at each level to name a few. As always, thanks for your interest in the AHCANCAL National Quality Award Program! Stay on track, start submitting your staffing data today! With the end of July, comes the end of the first mandatory month of staffing data collection set out by the Payroll Based Journal (PBJ). Although the submission deadline for the first mandatory quarter (July-September 2016) isn’t till November 14th, 2016 it is beneficial that you start submitting your data. Submit the first month of data in order to get a sense of whether or not the data you have collected will accurately be accepted by PBJ. Submit the first month of data and review the following reports that PBJ makes available to you in CASPER. 1700D Employee Report – this report shows the active and/or terminated employees in a given timeframe. It provides hire date, termination date, pay type, and staffing hours per employee ID. Review this report to make sure that all of the employees in your organization as well as contracted staff are included. 1701D Census Report – this report provides the census data at the end of the month by Medicare, Medicaid, Other and Total. You can review this report to make sure that the number of residents/patients you counted on July 31st, 2016 are reflected here. 1702 Staffing Summary Report – this report provides staff count, exempt, non-exempt, contractors, and staffing hours by job title. Review this report to make sure that your CNA, nursing, therapy, etc. hours are appropriately counted. 1702 Individual Daily Staffing Report – this is a special report provides staffing information during a specific period by individual employee id. Check that the hours of a couple of your employees are correctly being reflected. If the information on any of these reports is not accurate, go research the data entry that was completed either manually or via the XML and identify the discrepancy. If the discrepancy needs to be fixed, you can easily do so by resubmitting corrected data. Recall that corrections can only be done till November 14th, 2016. If you are struggling with the data collection and understanding the details of the PBJ requirements, check out PBJ: How to Get Started here. And be sure to access other resources like on demand webinars and FAQ documents on ahcancalED here. As always, AHCA is here to help you be successful, submit any of your PBJ questions to us at staffdatacollection@ahca.org.